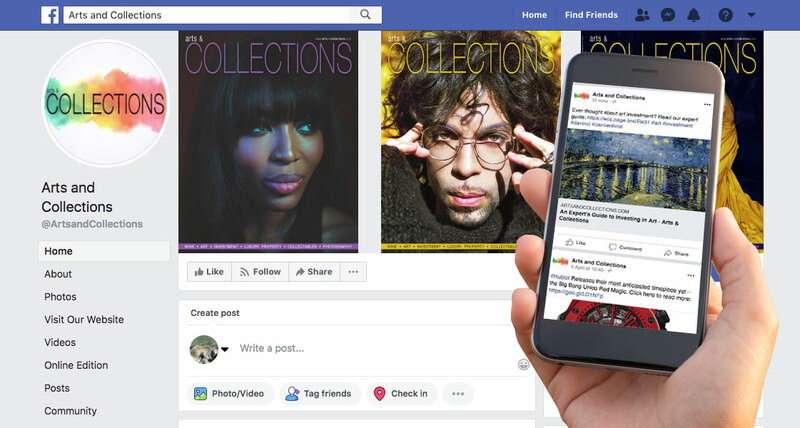 "In the space of a few years you have massively expanded our digital following allowing us to reach a new worldwide audience"
Arts and Collections has been providing information on arts and culture for over twenty years to collectors around the world and is recognized as one of the leading sources for information. Readers enjoy coverage of major auctions taking place globally, with insights into market trends, and forthcoming sales of important items from jewelery and watches to rare wine, musical instruments and contemporary, modern and old master paintings. Whilst Arts and Collections had a large readership, if was mainly via top hotels, private jets and yachts via its regular magazines. This limited the reach to a highly select audience and required them to be visiting that place to keep up to date. We had to make the brand digital while retaining the brand identity. We started by updating their website while being careful that it continued to mirror the other arts and Collections assets. Once that was completed we started building an email database to the readers to help build traffic. An extensive social media campaign was then launched to build a large Facebook following, we had a target of achieving an audience of over 200,000. Currently we are standing on almost 250,000. View the Arts & Collections website. We regularly boost posts to both drive traffic to the website and to communicate with our online collectors.